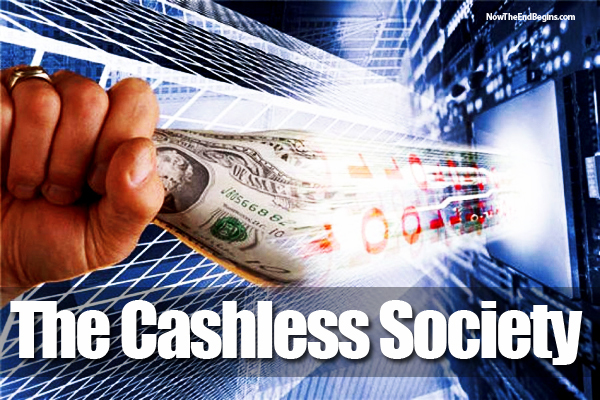 Bloomberg essay dispels the utopian dreams of the cashless society .. "This universe is missing one of the fundamental aspects of human civilization. A world without cash is a world without money. Money belongs to its current holder .. An account balance is not actually money, but a claim on money .. In a cashless society every transaction must pass through a financial gatekeeper. Banks, being private institutions, have the right to refuse transactions at their discretion. We can’t expect every payment to be given due process .. This means that politically unpopular organizations could easily be deprived of economic access .. A cashless economy violates the basic laws under which currency has operated since before the Industrial Revolution. The justification for giving up a fundamental freedom is that it would clear the way for an experimental policy designed to place a tax on currency. Money may be a shared illusion, but cash abolitionists are in a hallucination all their own."